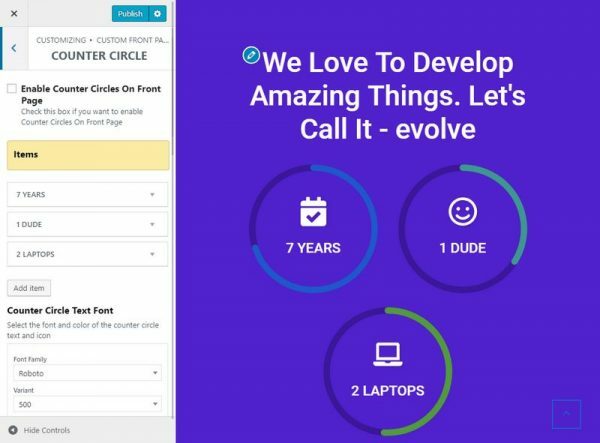 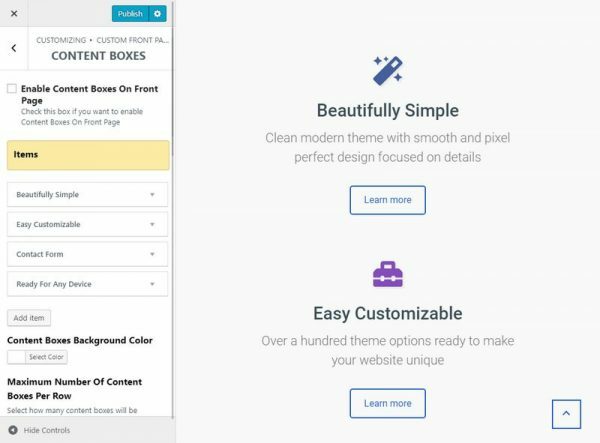 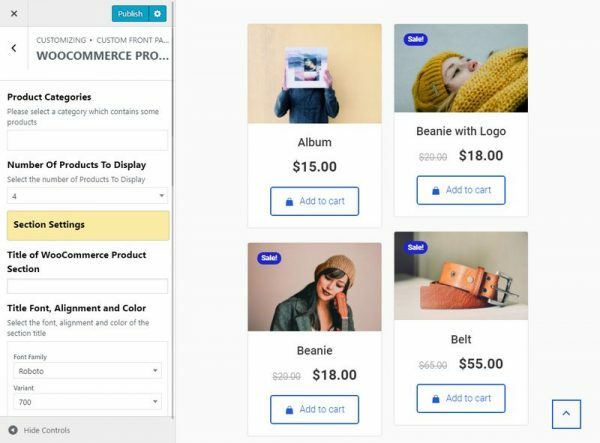 Custom Front Page Builder feature available in the customizer is a great way how to build a front page in a very short time. 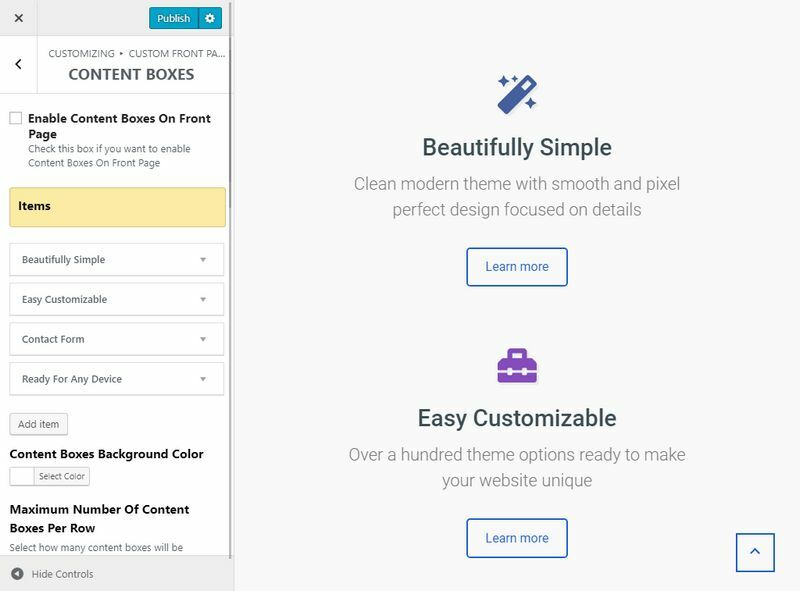 It contains 2 main areas - Header Area and the Content Area. Below are instructions for configuring different sections of the front page. You will need to go to Appearance Customize Custom Front Page Builder in order to access controls for these sections. 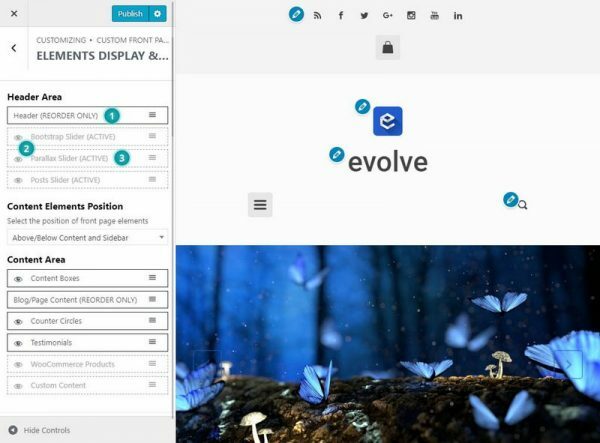 To start customize the front page elements display and order, click on the Elements Display & Reorder link. In order to display or not a slider in the header area, use these options. By dragging you can reorder the elements as you need - 1. By clicking on the eye icon, you can show or hide the element - 2. Also note, if you have a particular slider type enabled already, it will be marked as ACTIVE, otherwise INACTIVE - 3. To enable/disable a slider, please learn more in the respective part of the docs - Bootstrap Slider, Parallax Slider. 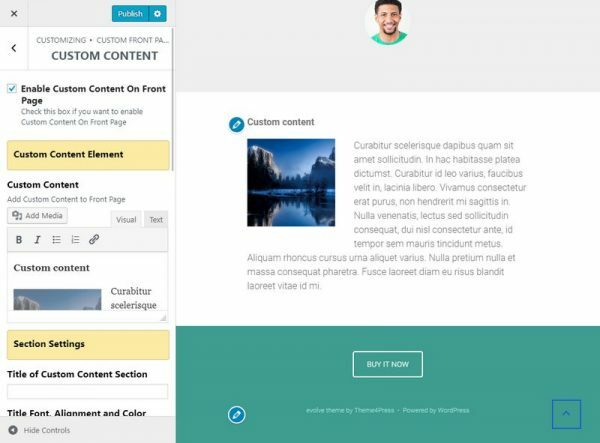 Content Area lets you to display and reorder any of the available elements on the front page builder. By dragging you can reorder the elements as you need - 1. By clicking on the eye icon, you can show or hide the element - 2. 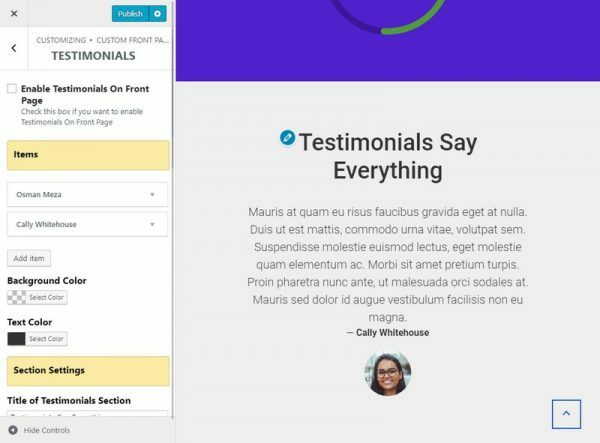 You can also select, if the elements will be inside of the content container (next to sidebar) or above/under the content container - 3. Element with the title Blog/Page Content is the main content of the page assigned to the front page - it can be a static page or latest posts - 4. Elements available for the content area come with many useful options. Click on any element to see all available settings for the particular section. Also, some elements have unique functionalities, as adding items with unique contents, color designs of an item, typography options etc. 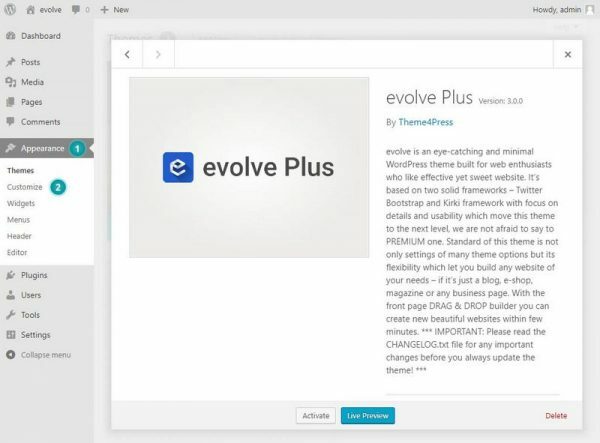 in this editor field you can add a content as you need - text, image, lists etc.